Free Download: Learn how UBER SEO can accelerate your business growth in weeks not months. Are These 5 Easily Overlooked Mistakes Slowly Killing Your Business? Fill out the easy form below to send a message directly. We'll get back to you within one business day. 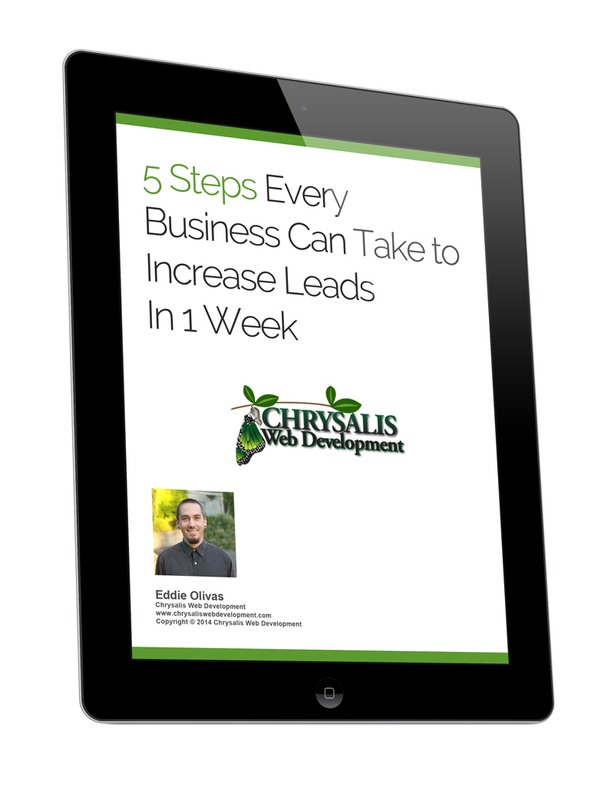 Chrysalis Web Development helps you improve your business by leveraging powerful marketing systems to attract more leads and develop higher quality relationships with your clients. Helping businesses identify and achieve their goals using digital marketing, web design, and SEO is what we do. Seeing the bigger picture is how we do it. Contact us with questions or project inquiries via phone, email, or online by clicking the button below.